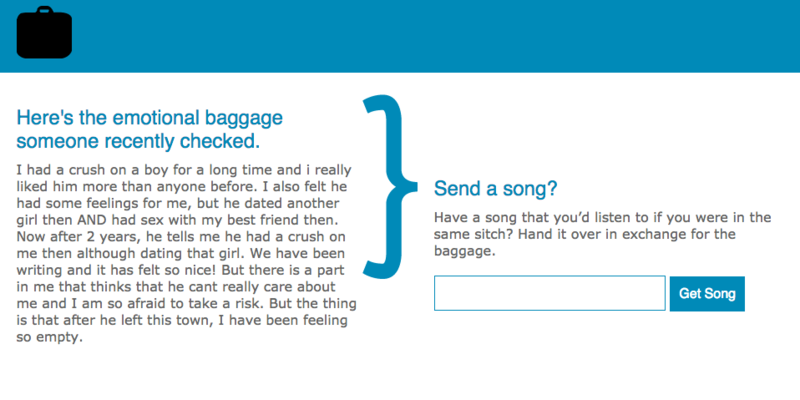 EmotionalBagCheck.com was a site where users could submit, or "check", their emotional "baggage", a short piece of text about something that had been troubling them, big or small. Their message would then be displayed anonymously where another user could choose a song that might provide comfort, along with an optional message. The site connected to the Grooveshark music API. Once a user chose a song for them, the bag-checker would receive an email with the link to the song on the Grooveshark site. I created the site for fun, and for the first few months only my friends visited, but then it made the rounds with teens on tumblr. From there, a few media outlets picked it up and it took off. 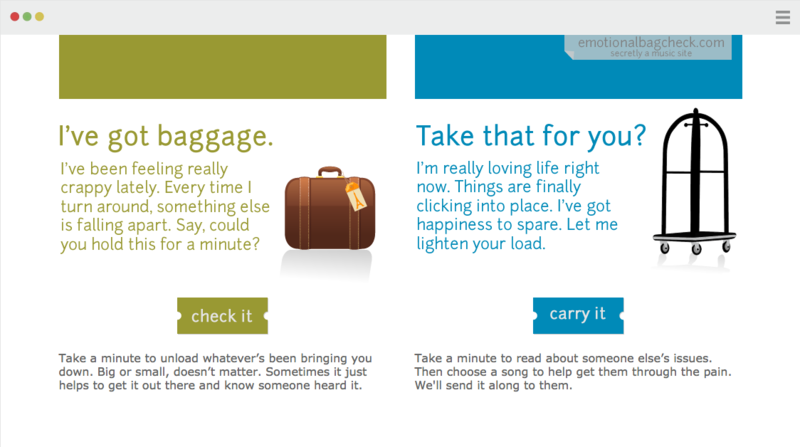 The input screen where users can check their emotional baggage. An example email sent from emotionalbagcheck.com.